Badugi Poker is a lowball poker variant that has similarities to triple draw. 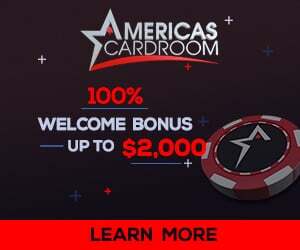 Even though it doesn’t enjoy the same level of popularity as Stud Poker or Omaha, the game has been gaining traction at poker sites like Betonline and Ignition. The overall objective is the same as other variants: maximize the pot when you’re holding a good hand and preserve your chips when you’re not. On this page, we’ll give you a complete tutorial for how to play Badugi Poker. We’ll start by explaining the betting structure and format of the game before moving on to Badugi rules. We’ll also take you step-by-step through the multiple draws and betting rounds of each hand. Because Badugi is a lowball variant, we’ll also spend some time explaining how hands are ranked. By the time you finish digesting the information below, you’ll be ready to jump on a Badugi table and start taking down pots. Like Omaha (read our article on how to play Omaha Poker), Badugi uses a system of forced bets called blinds. A small and big blind must be posted prior to cards being dealt to the players. The small blind is typically 1/2 the low bet on a limit table; the big blind is usually equal to the big bet. For example, on a $2/$4 limit table, the small blind would be $1 and the big blind would be $2. In traditional Draw Poker (read our tutorial on the best Five Card Draw Poker sites), hands consist of 5 cards. In Badugi Poker, each player’s hand contains only 4 cards. The cards are dealt face-down one at a time, and players have 3 opportunities to improve their hands by exchanging their cards for replacements. Each “draw” is followed by a betting round. The player with the best “badugi” (i.e. hand) at the showdown wins the pot. Before cards are dealt, the player seated to the dealer’s immediate left is required to post the small blind. The player seated to the small blind’s immediate left posts the big blind. Once both blinds have been posted, 4 cards are dealt to each player starting with the person to the dealer’s left. The pre-draw round of betting ends after every player has either folded or called the largest bet. In the event that no one has raised the big blind, the betting round ends after the last player has checked. First, there are 4 rounds of betting in Badugi Poker, including the pre-draw round. Second, each betting round is held to 4 raises. Third, the first 2 rounds of betting are held at the small bet while the last 2 rounds are bumped to the big bet. Following the initial round of betting, the first of three draws begins, starting with the active player seated closest to the dealer’s left. Each person can choose to exchange one, two, three, or all four of their cards for new cards from the deck. They can also choose to stand pat (i.e. keep their original cards). Once the first draw has completed, the second round of betting begins. The second round of betting ends after every player has either folded or called the biggest bet. This triggers another draw. The second of three draws follows the same format as the previous draw. You can stand pat, or exchange up to 4 of your cards for new ones. Once the draw ends, a third round of betting begins. As we mentioned earlier, this betting round is bumped to the table’s big bet. For example, on a $2/$4 limit table, all bets and raises would be held at $4. Once the action has gone around the table and each player has either folded or called the largest bet, the last of three draws occurs. The final draw is followed by a fourth and final round of betting. As before, the betting action ends after every active player has folded or called. If only one player remains active at the end of this round of betting, that person wins the pot. If more than one player remains, they reveal their cards in a showdown. The best Badugi hand wins the pot. Hands in Badugi Poker are ranked according to a completely different system than that used for Texas Holdem (read our article on traditional poker hand rankings). It’s a little hard to get used to at first, but will come naturally with practice. 1. All cards must be in distinctive suits. If a suit is duplicated, all but the lowest ranking card in that suit are discarded. 2. Hands with more cards always beat hands with fewer cards. For example, a 4-card hand beats a 3-card hand. A 3-card hand beats a 2-card hand. 3. If a hand contains a pair, one of the paired cards is discarded. 4. Hands are evaluated based on their highest-ranking card. The lowest highest-ranking card wins. To clarify the above rules, suppose your hand consists of 2s-3c-8h-8d and another player’s hand consists of 2c-4s-7h-9h. You would discard one of your 8’s, leaving your hand with either 2s-3c-8h or 2s-3c-8d (depending on which 8 was discarded). Your opponent would discard the 9h, leaving him or her with 2c-4s-7h. Both hands would then be evaluated based on their highest-ranking card – in this case an 8 versus a 7. The hand with the lowest-ranking card (i.e. the 7) wins. Suppose your hand had consisted of 2s-3c-8h-9d. In that case, your hand would have remained intact. You would have won because your opponent would have been forced to discard the 9h (because of the duplicated suit), leaving only 3 cards. As noted above, a 4-card hand always beats a 3-card hand.